There are many myths passed around about online security. It is important to sort through all the erroneous information floating around the internet, and find just what really works. Online security requires much more than setting a few complicated passwords. Our computers and mobile devices contain far too much of our personal information to simply surf around haphazardly on the web. Take a moment to read through this short summary, highlighting a few of the best ways to rest assured that your internet comings and goings are secured and kept personal. Whenever you install SSL Certificate it will enable https in the URL. SSL Certificate will encrypt all the information which is passed between browser and server. There are a few things to understand before ever opening that first navigational window. The first thing to understand is that a website that has the “https” before its web address in the address bar is a secured website. 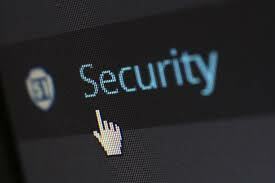 The site owners have gone through special steps to secure their site against malware and other malicious internet activity. Also, you can pretty much always count on the fact that any “adult” sites are going to be dangerous. Adult websites are almost always synonymous with viruses and spyware. There is plenty of truth behind the necessity of a strong password, but a strong password does not instantly mean bulletproof security. It helps to employ two stage verification whenever possible. Even with two-stage verification and a strong password, a breach in security is still very possible. Do not make the mistake of thinking it will never happen to you. Anyone can be hacked. One of the best tools against a security breach is to keep the device’s operating system up to date. Turn on automatic updates whenever possible. If it has been a while since the computer’s operating system was created, update to the most recent version of Windows, OSX, or Linux. The same concept should also be applied to any anti-spyware or antivirus software on the device. Regularly update virus definitions, as hackers are always augmenting their method of attack. Not only should every device owner take a thorough look at all of their hardware privacy settings, but it is always a good idea to review social media privacy settings. Social media is a wide opened source of information, that should always be treated with care. Take a thorough inventory of all security settings, and see just what has not been protected all this time. Browsers have security warnings built into their design. It pays to pay attention to those built in warnings. When the browser says that you should not do something, you probably should not do it.